What Are Causes and Risk Factors of Schizophrenia? What Are Signs and Symptoms of Schizophrenia? What Are the Types of Schizophrenia? When Should Someone Seek Medical Care for Schizophrenia? What Tests Do Physicians Use to Diagnose Schizophrenia? What Are Potential Complications of Antipsychotic Medications? What Are Other Therapies for Schizophrenia? When Is Follow-up Necessary for People With Schizophrenia? What Is the Prognosis of Schizophrenia? Are There Support Groups or Counselors for People With Schizophrenia? Where Can People Get More Information on Schizophrenia? Schizophrenia is a severe, chronic mental illness that affects about 1% of the population. Schizophrenia is typically characterized by symptoms of psychosis, such as hallucinations, delusions, and/or disorganized speech and behavior. The causes of schizophrenia are not known but likely include genetics (hereditary factors), neurodevelopmental and medical conditions, and drug abuse. Schizophrenia is not related to multiple or split personalities, and people with schizophrenia do not tend to be violent. Some people with schizophrenia are very successful and accomplished; however, many end up homeless. Treatments for schizophrenia include antipsychotic medications and certain types of therapy. A small number of people with schizophrenia may recover completely, but most have symptoms throughout their lives. Hallucinations are sensory perceptions that occur in the absence of an actual external stimulus (for example, seeing or hearing something that no one else does and is not present). These can involve any of the senses: auditory (sound), visual (sight), tactile (touch), olfactory (smell), or gustatory (taste). Auditory hallucinations (hearing voice[s] or other sounds) are the most common type of hallucinations in people with schizophrenia. The term schizophrenia is derived from Greek and literally means "split mind." Despite this meaning of the word, schizophrenia is not related to multiple or split personalities, and people with schizophrenia do not have separate personalities. 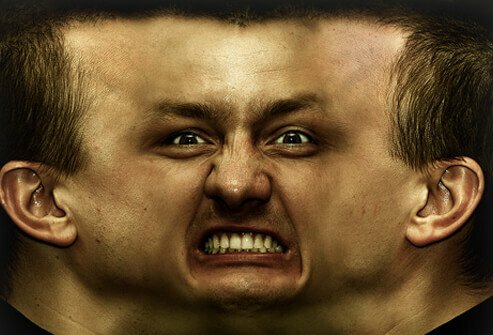 Multiple personality disorder (or split personality disorder, now formally known as dissociative identity disorder [DID]) is a controversial and uncommon condition that is not at all related to schizophrenia. Unfortunately, many people, even in the news, in movies, and on television, incorrectly use the term schizophrenia in this context. These symptoms must be causing a significant impairment in function at work, school, relationships, or self-care. The person's level of functioning is significantly below that present before symptoms started. To make the diagnosis, symptoms can't be better explained by a different diagnosis (for example, depression or bipolar disorder with psychosis, autism spectrum disorder, other medical conditions, or medications/substances [prescription or illicit drugs]). Studies have generally shown that about 0.5%-1% of the population may be diagnosed with schizophrenia. This is fairly consistent across countries and cultures, although some studies suggest it is more common in immigrant families and in urban and poor areas. More than 2 million Americans suffer from schizophrenia at any given time, and 100,000-200,000 people are newly diagnosed every year. Schizophrenia is usually diagnosed in late adolescence or young adulthood. The onset of the illness appears to be earlier in men (in the early to mid-20s) than in women (who tend to show symptoms in their mid- to late-20s to early 30s). Later age of onset, increased educational attainment, and established relationships tend to predict a better prognosis. A small number of people who develop schizophrenia may recover completely, but most have a chronic/lifelong course. Many of those affected are significantly impaired by the symptoms of schizophrenia and may not be able to hold down jobs. Some may be so incapacitated that they are unable to complete activities of daily living, like getting food and preparing a meal, maintaining a residence and paying bills, or even personal hygiene and grooming. People with schizophrenia are at risk of losing their housing due to their illness, lack of adequate health care, or other services. As a result, many become homeless (undomiciled) and at risk of victimization. However, many people with schizophrenia can have sufficient recovery to live independent and successful lives. Schizophrenia can affect anyone from any walk of life. Some people with schizophrenia have had remarkable achievements and even become quite famous. One notable example is the mathematician, Dr. John Nash, Nobel Prize winner and subject of the book (and Academy Award-winning movie of the same title) A Beautiful Mind. Another is Dr. Elyn Saks, an attorney and bioethicist, who documented her own experience with schizophrenia in her autobiography, The Center Cannot Hold. Dr. Saks continues her own work, which includes an interest in highly achieving individuals who also have mental illnesses, including schizophrenia. The causes of schizophrenia are not known. However, the interplay of genetic, biological, environmental, and psychological factors are all thought to be involved. We do not yet understand all of the causes and other issues involved, but current research is making steady progress toward elucidating and defining the causes of schizophrenia. Schizophrenia, schizotypal personality disorder, and bipolar disorder are thought to share common genetic risk factors. In biological models of schizophrenia, researchers have investigated hereditary (familial) predisposition, season of birth, infectious agents, allergies, and disturbances in metabolism. Schizophrenia runs in families (hereditary), and an increasing number of genes have been implicated. First-degree relatives (siblings and children of affected individuals) have an increased risk of schizophrenia, but it is not substantially increased in more distant relatives. However, genetics alone do not cause schizophrenia. For example, the risk of illness in an identical twin of a person with schizophrenia is 40%-50% (for example, genetics accounts for only about half of the risk for schizophrenia). A child of a parent suffering from schizophrenia has a 10% chance of developing the illness. The risk of schizophrenia in the general population is 1% or less. The current concept is that multiple genes are involved in the development of schizophrenia and that other risk factors such as prenatal (intrauterine), perinatal, and nonspecific stressors are involved in creating a disposition or vulnerability to develop the illness. Neurodevelopment may be affected due to one or more of these factors. Neurotransmitters (chemicals allowing the communication between nerve cells) also play a part in the development of schizophrenia. The list of neurotransmitters under scrutiny is long, but researchers have given special attention to dopamine, serotonin, and glutamate. Neuroimaging research has also suggested subtle changes in specific brain areas, or in the connections between brain areas, may be involved with schizophrenia. However, none of these findings so far have been consistent enough to be useful in diagnosing or predicting schizophrenia. Functional neuroimaging (for example, functional magnetic resonance imaging [fMRI]) and electroencephalographic (EEG) studies have shown changes in brain function related to schizophrenia. One finding has been that the default mode network (DMN) of the brain is more highly activated in people with schizophrenia and bipolar disorder. The DMN is involved with internally focused tasks (for example, thinking and concentration), and this abnormal activity may be related to symptoms of illness. There is hope that a better understanding of these structural and functional changes in the brain may lead to more accurate diagnosis and better treatments for schizophrenia. Environmental risk factors, like a history of drug use, particularly early and heavy use of marijuana or abuse of stimulants (for example, amphetamines [speed], or mixed amphetamine salts [Adderall]), have also been associated with the development of schizophrenia. When a person first develops symptoms of psychosis, it is important for their doctors to investigate all reasonable medical causes for any acute change in someone's mental health or behavior. Sometimes other medical conditions may cause symptoms that resemble schizophrenia, but these conditions have different treatments. Schizophrenia symptoms can drastically affect a person's inner world and experience, leading to outward changes in behavior. Hallucinations or delusions may prompt a person to act in a seemingly strange or bizarre way. For example, a delusion that someone is reading their thoughts may prompt them to get rid of telephones and computers, or to act unusually frightened or suspicious. At other times, a person with schizophrenia may not have any outward appearance of being ill.
People with schizophrenia vary widely in their behavior as they struggle with an illness beyond their control. In active stages, those affected may ramble in illogical sentences or react with uncontrolled anger or fright to a perceived threat. People with schizophrenia may also experience relatively passive phases of the illness in which they seem to lack personality, movement, and emotion (also called a flat affect). People with schizophrenia may alternate in these extremes. Their behavior may or may not be predictable. It is important to be aware, however, that most people with schizophrenia are not prone to act violently -- people with mental illness are actually more likely to be victims of violence than perpetrators. Psychosis: Psychosis is defined as being detached or disconnected from reality. During this phase, one can experience delusions or prominent hallucinations. People with psychoses are often not able to realize that their experiences or beliefs are not real. Psychosis is a prominent feature of schizophrenia but is not unique to this illness. Other psychotic disorders in the DSM 5 include brief psychotic disorder, schizophreniform disorder, schizoaffective disorder, and delusional disorder. Schizotypal personality disorder: This more severe personality disorder is characterized by acute discomfort with close relationships as well as disturbances of perception and abnormal behaviors, making those affected by this disorder seem odd and eccentric because of unusual mannerisms. Recent studies suggest that this disorder shares genetic risk factors with schizophrenia and may be a milder variant of schizophrenia. Hallucinations: A person with schizophrenia may have strong sensations of objects or events that are real only to him or her. These may be in the form of things that they believe strongly that they see, hear, smell, taste, or touch. Hallucinations have no outside source and are sometimes described as "the person's mind playing tricks" on him or her. Delusion: A person with a delusion has a strong belief about something despite evidence that the belief is false. For instance, a person may listen to a radio and believe the radio is giving a coded message about an impending extraterrestrial invasion. All of the other people who listen to the same radio program would hear, for example, a feature story about road repair work taking place in the area. The recurrent, intrusive, and often false thoughts (obsessions) in obsessive-compulsive disorder can sometimes be mistaken for delusions. Disorganized thinking: Speech or behaviors are unorganized or difficult to understand and flattening or inappropriate emotions. People with disorganized-type schizophrenia may laugh at the changing color of a traffic light or at something not closely related to what they are saying or doing. Their disorganized behavior may disrupt normal activities, such as showering, dressing, and preparing meals. Catatonia is now considered to be a symptom of a psychiatric (for example, schizophrenia, depression, bipolar) or medical condition, rather than a type of schizophrenia. Catatonia is characterized by a marked decrease in how a person reacts to the environment. This can result in severe disturbances of movement and behavior. People with catatonia may keep themselves completely immobile or move all over the place in a purposeless way. They may not say anything for hours (mutism), or they may repeat anything you say (echolalia) or speak senselessly. Untreated catatonia can progress to a life-threatening medical condition. Residual symptoms refer to a past history of at least one episode of schizophrenia, but the person currently has no positive symptoms (delusions, hallucinations, disorganized thinking, speech, or behavior). It may represent a transition between a full-blown episode and complete remission, or it may continue for years without any further psychotic episodes. Symptoms of schizophrenia in children and younger teenagers are less common since this form is not as common as adult-onset schizophrenia. Children with this illness tend to have a more severe course of symptoms, with more cognitive (thinking) problems, more negative symptoms, and more severe social challenges than people with adult-onset schizophrenia. The most recent Diagnostic and Statistical Manual of Mental Disorders (DSM-5) has done away with describing different subtypes of schizophrenia based on symptom clusters. (In the previous edition [DSM-IV], subtypes included paranoid, disorganized, undifferentiated, residual, and catatonic schizophrenia.) What was formerly understood as being types of schizophrenia are thought to be symptoms (for example, paranoia, disorganized thinking, speech, or behavior) that are all part of the same disorder. Since no research showed that there were different causes of or better treatments for the subtypes, they were eliminated from the DSM-5. However, ongoing research on the causes of schizophrenia indicates that there are likely several different subtypes of schizophrenia based on groups of genes or other biological factors involved. The specifics of how those subtypes may vary and how this may translate to more effectively treating people with schizophrenia are still being determined. There is still much that we do not know about schizophrenia. Researchers continue to study many areas to help expand what people know about heredity, brain changes, and the best treatments for schizophrenia. Meta-analysis is a term for the process of trying to learn more from completed studies. This is a way of combining multiple research studies with similar measurements to improve the strength of the findings. Some recent published meta-analysis studies on schizophrenia have identified genes possibly related to both schizophrenia and bipolar disorder, or which antipsychotic medications are most effective in treating certain symptoms of schizophrenia. Ongoing research focuses on genes related to schizophrenia, how brain regions look and function differently in schizophrenia, and biological markers that may help identify people at risk of developing schizophrenia. While these studies are critical, it is hard to know how soon they will result in better treatment or prevention of schizophrenia. Clinical trials are research studies that test new ways of treating or preventing schizophrenia. These trials may test a new medication or therapy, a new type of surgery or medical device, or a new way of using an existing treatment. The National Institutes of Mental Health (NIMH) is the main government scientific organization that conducts and funds research on schizophrenia in the United States. Ongoing clinical research studies funded by the NIMH are registered at ClinicalTrials.gov (search: schizophrenia). Studies conducted at the NIMH are often looking for subjects. You can learn more about these clinical trials and how to join at Join A Study. If someone who has been diagnosed with schizophrenia has any behavior change that might indicate treatment is not working, it is best to call the doctor. If the family, friends, or guardians of a person with schizophrenia believe symptoms are worsening, a doctor should be called as well. Do not overlook the possibility of another medical problem being present in addition to the schizophrenia. On a general level, anyone with an acute change in mental status (a noticeable change in mood or behavior), whether diagnosed with schizophrenia or not, should be taken to a hospital or a physician for evaluation. The mood or behavior change may be due to schizophrenia, another psychiatric diagnosis, or a nonpsychiatric medical condition. However, early diagnosis and treatment can reduce the risk of complications, including death or permanent physical damage. Someone with schizophrenia should be taken to the hospital if medical illness is suspected. People with schizophrenia may or may not be able to communicate their symptoms in the same way as someone who does not have schizophrenia. This situation requires a doctor for diagnosis and treatment. Moreover, medical illness can aggravate schizophrenia. Take your loved one with schizophrenia immediately to the hospital and/or call "911" if he or she is in danger of self-harm or harming others. People with schizophrenia are much more likely than the general population to commit suicide. A quick way to assess whether someone is suicidal or homicidal is to ask the questions: "Do you want to hurt or kill yourself?" "Do you want to hurt or kill anyone else?" "Are you hearing any voices?" and "What are the voices telling you?" People will usually tell you what is on their mind and should be taken seriously when they verbalize these thoughts. Many families fear abusing the emergency medical system when these and similar issues arise. However, if you have any doubts, it is best to be cautious and contact your psychiatric/medical provider or go to the emergency department. To diagnose schizophrenia, one has first to rule out any medical illness that may be the actual cause of the behavioral changes. Once medical causes have been looked for and not found, a psychotic illness such as schizophrenia could be considered. The diagnosis will best be made by a licensed mental-health professional (preferably a psychiatrist) who can evaluate the patient and carefully sort through a variety of mental illnesses that might look alike at the initial examination. The physician will examine someone in whom schizophrenia is suspected either in an office or in the emergency department. The physician's role is to ensure that the patient doesn't have any other medical problems, including active drug use, since those conditions can mimic the symptoms of schizophrenia. The doctor takes the patient's history and performs a physical examination. Laboratory and other tests, sometimes including a brain scan (computerized tomography [CT] or magnetic resonance imaging [MRI] scan of the brain), are performed. Physical findings can relate to the symptoms associated with schizophrenia or to the medications the person may be taking. Generally, results of the lab tests and imaging studies are normal in people with schizophrenia. If the person has a particular behavior as part of their mental disorder, such as drinking too much water (polydipsia), then this might show as a metabolic abnormality in the person's laboratory results. Family members or friends of the person with schizophrenia can help by giving the doctor a detailed history and information about the patient, including behavioral changes, previous level of social functioning, history of mental illness in the family, past medical and psychiatric problems, medications, and allergies (to foods and medications), as well as the person's previous physicians and psychiatrists. A history of hospitalizations is also helpful so that physicians might obtain and review the old records at these facilities. During a first or acute episode of psychosis, a person will often require more support from others. Home care for a person with schizophrenia depends on how ill the person is and on the family or guardian's ability to care for the person. The ability to care for a person with schizophrenia is tied closely to time, emotional strength, and financial reserves. After an acute episode has resolved, most people with schizophrenia are able to live independently, and most are able to make their own decisions. These days, very few people with schizophrenia are in long-term hospitals or institutions. Having treatment and support systems in the community can improve function and quality of life for those with chronic or persistent symptoms of the illness. First, ensure that your loved one is taking prescribed medications. One of the most common reasons that people with schizophrenia have their symptoms worsen again is that they quit taking medication. Family members might see much improvement and mistakenly assume their loved one no longer needs their medications. That is a disastrous assumption, since it can lead to a relapse of psychotic symptoms. The family should provide a caring, safe environment that allows for as much freedom of action as is appropriate at the time. Reduce or eliminate any hostility in the environment. Likewise, reduce any criticism. This is a time of hope for people with schizophrenia as well as for their families. New and safer antipsychotic medications are constantly being discovered, thus making it possible not only to treat symptoms otherwise resistant to treatment (such as negative or cognitive symptoms) but to considerably diminish the side-effect burden and to improve the quality and enjoyment of life. Hospitalization may be necessary when people with schizophrenia are experiencing acute psychotic episodes in which they are obviously a danger to themselves or others, due to either suicidal or homicidal ideation or an inability to take care of their basic needs. These days, hospitalizations are usually brief (days to weeks), and long-term hospitalization or institutionalization is rare. Most treatment occurs outside of the hospital and usually includes antipsychotic medication but may also include psychosocial treatments, such as psychotherapy, cognitive remediation, and community support programs. Antipsychotics have been proven effective in treating acute psychosis as well as reducing the risk of future psychotic episodes. The treatment of schizophrenia thus has two main phases: an acute phase, when higher doses of medication might be necessary in order to treat psychotic symptoms, followed by a maintenance phase, which could be lifelong. During the maintenance phase, the medication dosage is gradually reduced to the minimum required to prevent further episodes. If symptoms reappear on a lower dosage, a temporary increase in dosage may help prevent a relapse. Even with continued treatment, some patients experience relapses. By far, though, the highest relapse rates are seen when medication is discontinued. Clinical research has shown that if relapses can be prevented, the long-term functioning and prognosis for the individual are better. Longer periods of untreated psychosis may also predict a poorer prognosis, further emphasizing the importance of remaining in treatment. The large majority of patients experience substantial improvement when treated with antipsychotic agents. Some patients, however, do not respond to medications, and a few may have a complete recovery and not need long-term medication. Since it is difficult to predict which patients will fall into what groups, it is essential to have long-term follow-up, so that the treatment can be adjusted and any problems addressed promptly. Antipsychotics are the cornerstone in the medication treatment of schizophrenia. They have been available since the mid-1950s, and although antipsychotics do not cure the illness, they greatly reduce the symptoms and allow the patient to function better, have a better quality of life, and enjoy an improved outlook. The choice and dosage of medication is individualized and is best done by a physician, usually a psychiatrist, who is well trained and experienced in treating severe mental illness. Medical professionals initially developed the first antipsychotic, chlorpromazine (Thorazine), as an anti-histamine but was found in the 1950s to be effective for treating psychosis, including schizophrenia. It was later learned that its effectiveness was related to blocking dopamine activity in the brain. In the late 1950s and early 1960s, medical researchers developed a number of other antipsychotics, including haloperidol (Haldol), fluphenazine (Prolixin), thiothixene (Navane), trifluoperazine (Stelazine), perphenazine (Trilafon), and thioridazine (Mellaril). These medications have become known as first-generation antipsychotics and have been found to be effective in treating positive symptoms (for example, acute symptoms such as hallucinations, delusions, thought disorder, loose associations, ambivalence, or emotional lability) but are thought to be less effective for negative symptoms (such as decreased motivation and lack of emotional expressiveness). The antipsychotics are also sometimes called "neuroleptics" because they can cause side effects that affect the neurologic (nervous) system (extrapyramidal side effects). Since 1989, a newer class of antipsychotics affecting both dopamine and serotonin (atypical antipsychotics or second generation antipsychotics [SGA]) has been introduced. At clinically effective doses, they are less likely to cause the neurologic side effects but are more likely to cause weight gain and may have an effect on metabolism (diabetes and cholesterol). The first of the atypical antipsychotics, clozapine (Clozaril, FazaClo), is the only agent that has been shown to be effective where other antipsychotics have failed. It is also the only antipsychotic drug shown to reduce suicide rates associated with psychosis. Clozapine rarely causes extrapyramidal side effects, but it does have other rare but serious side effects, including a possible decrease in the number of white blood cells (agranulocytosis), so the blood needs to be monitored every week during the first six months of treatment and at least monthly as long as someone is taking the medication to catch this side effect early if it occurs. Other atypical antipsychotics include risperidone (Risperdal, Risperdal M-tab), olanzapine (Zyprexa, Zyprexa Zydis), quetiapine (Seroquel and Seroquel-XR), ziprasidone (Geodon), aripiprazole (Abilify), paliperidone (Invega), asenapine (Saphris), iloperidone (Fanapt), lurasidone (Latuda), cariprazine (Vraylar), and brexpiprazole (Rexulti). The use of these medications has allowed successful treatment and release back to their homes and the community for many people suffering from schizophrenia. Most of these medications take two to four weeks to have a full effect. Patience is required if the dose needs to be adjusted, the specific medication changed, and another medication added. In order to be able to determine whether an antipsychotic is effective or not, it should be tried for at least six to eight weeks (or even longer with clozapine). Because many people with schizophrenia stop taking their medications, increasing their risk of future psychotic episodes, long-acting injectable medications have also been used. These injectable forms of antipsychotics avoid the need for daily pills, and since they provide a steady level of medication in the bloodstream, people with schizophrenia may avoid some of the side effects due to peak medication levels with pills. From the first-generation antipsychotics, both haloperidol (Haldol) and fluphenazine (Prolixin) have injectable forms that are given every two to four weeks. Over the past few years, more options from the second-generation antipsychotics have been developed. There are now long-acting injectable versions of risperidone (Consta, injections every two weeks), paliperidone (Sustenna, every four weeks), olanzapine (Relprevv), and aripiprazole (Aristada, every four to six weeks) and Maintenna (every four weeks). Most recently, a long-acting version of paliperidone requiring injections every three months (Trinza) was released. People with schizophrenia may also develop major depressive disorder (depression) or bipolar affective disorder. When these mood disorders are present for a substantial percentage of the time and cause significant impairment, the diagnosis of schizoaffective disorder (depressive or bipolar type) may be given. Mood disorders in people with schizophrenia would be treated with the same medications used for those diagnoses alone. Antidepressant medications, including serotonergic medications like fluoxetine (Prozac), sertraline (Zoloft), paroxetine (Paxil), citalopram (Celexa), and escitalopram (Lexapro), are often prescribed because of their effectiveness and low incidence of side effects. For bipolar disorder, mood stabilizers, such as lithium, valproate (Depakote, Depakene), carbamazepine (Tegretol) or lamotrigine (Lamictal), may be added to antipsychotic medications. Because the risk of relapse of illness is higher when antipsychotic medications are taken irregularly or discontinued, it is important that people with schizophrenia follow a treatment plan developed in collaboration with their doctors and with their families. The treatment plan will involve taking the prescribed medication in the correct amount and at the times recommended, attending follow-up appointments, and following other treatment recommendations. People with schizophrenia often do not believe that they are ill or that they need treatment. Other possible things that may interfere with the treatment plan include side effects from medications, substance abuse, negative attitudes toward the schizophrenia sufferer or toward treatment from families and friends, or even unrealistic expectations. When present, these issues need to be acknowledged and addressed for the treatment to be successful. Although antipsychotics may be very helpful in reducing symptoms of psychosis, they also have a risk of side effects -- some of which may be distressing or life-threatening. Common side effects can include sedation, dry mouth, and constipation. However, they may also include abnormal muscle movements (rigidity, stiffness, slowed movements, tremors, or restlessness [akathisia]). These movement-related side effects are due to the antipsychotics blocking dopamine in the brain regions controlling movement (the extrapyramidal tracts). Extrapyramidal side effects (EPSE) can look like Parkinson's disease, which is caused by the loss of dopamine-producing neurons in a related brain region, the substantia nigra. For most people, these side effects can be reduced or stopped by changing antipsychotic medications or adding another medication to reduce the side effects. A less common but serious movement-related complication of antipsychotics is called tardive dyskinesia (TD). Tardive dyskinesia is a late side effect, resulting after taking antipsychotics for at least months but often only after many years or decades of treatment. In TD, the abnormal movements may also include facial movements or tics, and unlike EPSE, TD may be irreversible. The newer antipsychotic medications have a much lower risk of motor side effects (including both EPSE and TD). The atypical antipsychotics have, however, been found to affect metabolism and can increase the risk of weight gain, development of diabetes mellitus, or elevated lipid levels (triglycerides and/or cholesterol). To address weight gain, prescribing physicians often counsel their patients with schizophrenia on nutrition and exercise. Occasionally, a doctor will recommend adding a diabetes medication like metformin to help reverse these metabolic complications. A rare but life-threatening complication resulting from the use of antipsychotic medications is neuroleptic malignant syndrome (NMS). It involves extreme muscle rigidity, sweatiness, salivation, fever, and unstable blood pressure and pulse. If this is suspected, it should be treated as an emergency. People who are taking antipsychotic medications should follow up regularly with their doctors to monitor for any of these possible side effects and may need to have blood tests and physical exams to check for them. In spite of successful antipsychotic treatment, many patients with schizophrenia have difficulty with motivation, activities of daily living, relationships, and communication skills. Also, since the illness typically begins during the years critical to education and professional training, these patients lack social and work skills and experience. In these cases, the psychosocial treatments help most, and many useful treatment approaches have been developed to assist people suffering from schizophrenia. Individual psychotherapy: This involves regular sessions between just the patient and a therapist focused on past or current problems, thoughts, feelings, or relationships. Thus, via contact with a trained professional, people with schizophrenia become able to understand more about the illness, to learn about themselves, and to better handle the problems of their daily lives. They become better able to differentiate between what is real and, by contrast, what is not and can acquire beneficial problem-solving skills. Plasticity assisted cognitive remediation (PACR): Cognitive problems associated with schizophrenia may be improved by regular use of brain training activities. PACR generally uses computer-based games and tasks to promote plasticity -- or changes in brain connections and activity -- which may improve cognitive functioning. Early results are promising, but the approach is not yet widely accepted or used. Cognitive behavioral therapy: This type of psychotherapy identifies problematic thought and behavior patterns, and the therapist and client create strategies to modify them. This type of therapy has been adapted to treating schizophrenia by challenging psychotic thoughts, such as delusional beliefs. Family education: Research has consistently shown that people with schizophrenia who have involved families have a better prognosis than those who battle the condition alone. Insofar as possible, all family members should be involved in the care of your loved one. Assertive community treatment (ACT; may also be known as a community support program [CSP]): These programs are designed to work with individuals with schizophrenia and other chronic and severe mental illness in the community and to provide supports to allow them to successfully function with as much independence and reduced hospitalization as possible. Individual case managers will help with a range of activities from shopping and doctor's appointments to management of daily medications and finances. Self-help groups: Outside support for family members of those with schizophrenia is necessary and desirable. The National Alliance for the Mentally Ill (NAMI) is an in-depth resource. This outreach organization offers information on all treatments for schizophrenia, including home care. Follow-up after an initial stay in the hospital is absolutely essential if the person with schizophrenia is to continue to improve and recover. It is especially important to take any medications as prescribed and to go to therapy sessions. Not enough is known, as yet, about the causes of schizophrenia to determine practical preventive measures. However, research in this area is very active, and it may be possible to offer some useful suggestions regarding prevention in the not-too-distant future. Examples of progress toward that goal include preventing and delaying the progression of people who are at high risk for developing psychosis to having those symptoms. High-risk individuals are usually defined as those who have multiple family members with schizophrenia. It is not clear if starting antipsychotic medications before a first full psychotic break is either effective in preventing a break or if it is safe. Advancements have also been made in intervening early when individuals develop psychotic symptoms. It has been shown that treating early after the onset of symptoms can improve the chances of a good recovery and long-term function. It remains difficult to identify the earliest, or prodromal, symptoms that occur even before a first break. Ongoing research is looking at the best ways to identify prodromal symptoms and what type of intervention will be most successful. How well the person with schizophrenia functioned in society and at work prior to onset of the mental illness will be important in determining the long-term outcome. The amount of time that lapses from the onset of symptoms to diagnosis and treatment can often help to predict outcome as well. The sooner someone is treated for schizophrenia once symptoms begin, the better the overall likelihood for improvement and recovery. However, at this time, the average length of time between the onset of psychosis and first treatment is six to seven years. Schizophrenia can be treated using multiple methods, including medication, psychotherapy, and behavioral therapy. Psychiatrists, primary-care physicians, psychologists, social workers, and other mental-health professionals are pivotal in helping people with schizophrenia and their families explore available resources that lead to complete treatment. Many people with schizophrenia recover to the point of living functional and rewarding lives in their communities. Outside support for family members of those with schizophrenia is necessary and desirable. The National Alliance for the Mentally Ill (NAMI) is an in-depth resource. This outreach organization offers information on all treatments for schizophrenia, including home care. Another organization that can be useful for both people with schizophrenia and their families is the National Mental Health Association or one of its state or county chapters. Schizophrenia is characterized by the following symptoms: disorganized speech, catatonic behavior, negative symptoms, delusions, and hallucinations. It is estimated that about 1% of the population suffers from schizophrenia. Though the causes of schizophrenia are unknown, environmental, genetic, medical conditions, and drug use are believed to be influential factors in the development of this chronic mental illness. Arnedo, J., D.M. Svrakic, C. del Val, et al. "Uncovering the hidden risk architecture of the schizophrenias: confirmation in three independent genome-wide association studies." American Journal of Psychiatry. Sept. 15, 2014. Balla, A., R. Koneru, J. Smiley, H. Sershen, and D.C. Javitt. "Continuous phencyclidine treatment induces schizophrenia-like hyperactivity of striatal dopamine release." Neuropsychopharmacology 25.2 Aug. 2001: 157-164. Correll, C.U. "Symptomatic presentation and initial treatment for schizophrenia in children and adolescents." Journal of Clinical Psychiatry 71.11 Nov. 2010: 29. Kuhn, H.W., J.C. Harsanyi, R. Selten, J.W. Weibull, E. van Damme, J.F. Nash, and P. Hammerstein. "The work of John F. Nash Jr. in game theory: Nobel Seminar, 8 December 1994." Duke Mathematics Journal 81.1 (1995): 1-29. Serper, M.R., J.C.Y. Chou, M.H. Allen, P. Czobor, and R. Cancro. "Symptomatic overlap of cocaine intoxication and acute schizophrenia at emergency presentation." Journal of Schizophrenia Bulletin 25.2 (1999): 387-394. Torrey, E.F. "Epidemiological comparison of schizophrenia and bipolar disorder." Schizophrenia Research 39.2 Sept. 1999: 101-106. Yung, A.R., E. Killackey, S.E. Hetrick, A.G. Parker, et al. "The prevention of schizophrenia." Internal Review of Psychiatry 19.6 Dec. 2007: 633-646. What are your schizophrenia symptoms? If a loved one has schizophrenia, please describe his/her symptoms. How is your schizophrenia being treated? If a loved one has schizophrenia, please describe the treatment for his/her schizophrenia. What is your schizophrenia prognosis? If a loved one has schizophrenia, please discuss his/her prognosis. What medications were prescribed for your schizophrenia? If a loved one has schizophrenia, please describe what medications he/she takes for schizophrenia. Please describe how your schizophrenia was diagnosed. If a loved one has schizophrenia, please discuss how his/her schizophrenia was diagnosed. What type of schizophrenia do you have? Have you experienced any complications or side effects from your schizophrenia medication? If a loved one has schizophrenia, please describe any medication complications he/she has experienced.